DD the hammock people are now doing ultralight tents. I have a couple of their hammocks and was always fairly impressed for the price / weight / quality mix. I've no idea about the tents but hopefully they're as good. 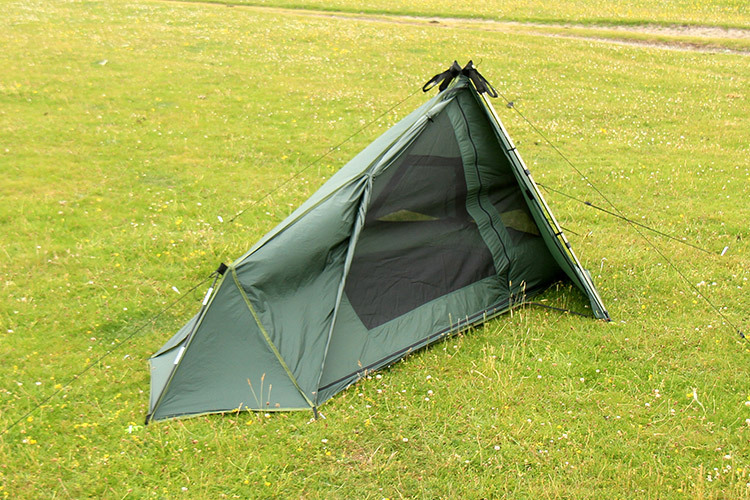 There are a couple of mesh only offerings that I can't see working too well in the UK (although I suppose they're probably designed to work with a tarp) but the standard tent pictured below is only 710g excluding pegs, guys and walking pole for structure. I'm not convinced but I'd be interested in seeing some reviews. Looks interesting Red, think the mesh only ones are as you say used in conjunction with a tarp and are more intended for the summer. Might have a wee looksee all the same lol Also you can make a tent from your tarp which is probably alot cheaper mate.